From brick and mortar to screen and browser; consumers want e-commerce apps with features for more than browsing and buying, according to a survey of 505 mobile shoppers. Making purchases through a mobile app is becoming more common for consumers. In 2014, mobile commerce made up almost 12% of the U.S. e-commerce total. That number is expected to grow to 45% by 2020. With more consumers using e-commerce apps to make purchases, businesses of all sizes can improve customer engagement by offering an app with the features consumers want. According to our survey of 505 e-commerce app users, consumers want to do more than browse and buy products and services; they want features such as discounts, loyalty rewards, personalization, and augmented reality. 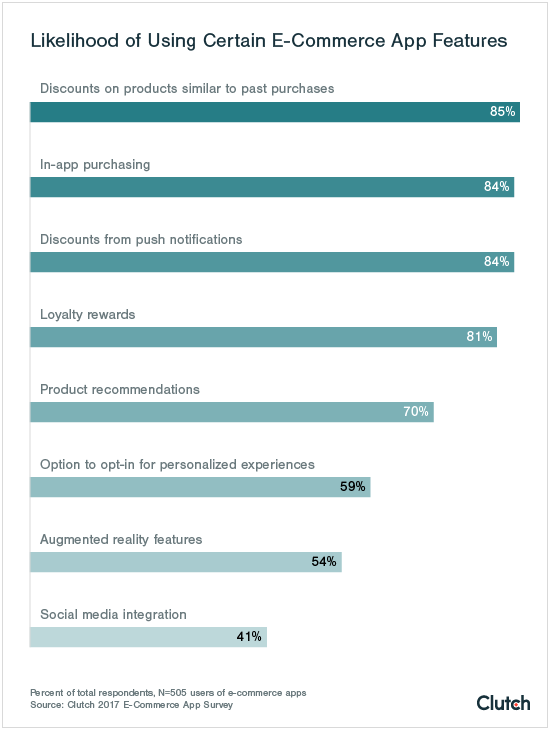 Nearly 60% of consumers want e-commerce apps that personalize the in-store experience. 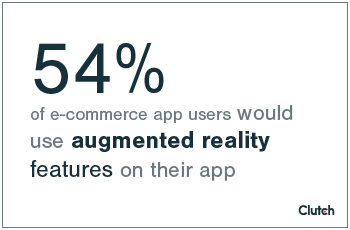 More than half (54%) of consumers would use augmented reality features on e-commerce apps. Why Do Consumers Use E-Commerce Apps? Consumers use e-commerce apps for four reasons: to find deals, make purchases at any time, compare products and prices, and save time. 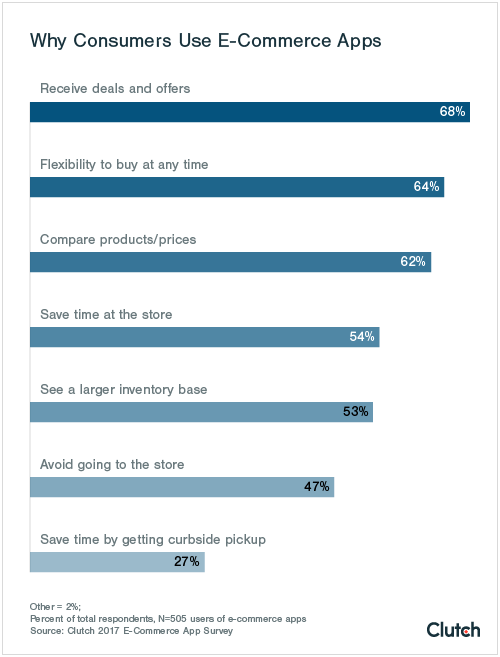 The top reasons consumers use e-commerce apps show their preferences for a “frictionless” shopping experience. “Users prefer native mobile apps over mobile sites because of the user experience, the loading speed, as well as the fact that apps offer frictionless shopping by remembering passwords and storing payment options,” said Nik Sanghvi, Head of U.S. Sales and Business Development at Robosoft Technologies, a mobile firm with clients such as Walmart, Target, and JCPenney. Consumers use e-commerce apps that make it easy to make a purchase. About 68% of consumers use e-commerce apps to receive deals and offers. Convenience store apps, such as Walgreens, CVS, and 7-Eleven, are known for offering deals. "Our mobile strategy is centered on removing friction throughout our business,” said Walgreens Product Manager Benjamin Weiss. “The mobile device is a powerful tool that offers so many ways to streamline, simplify, and automate otherwise difficult customer and even business tasks." For example, Walgreens customers can clip coupons and get “perk” points for purchasing certain products. These points earn discounts on future purchases. Walgreens also offers Balance Rewards, which users earn based on their health and exercise habits. For example, consumers earn 20 points per mile walked, run, or cycled based on their iPhone Health data; every 1,000 points earned is $1 off a future purchase. Nearly 65% of customers use e-commerce apps to shop any time and anywhere. Pure online retailer apps, such as Amazon, eBay, and Overstock.com, give consumers a way to purchase products from wide-ranging categories on-the-go. For example, customers of Overstock.com can purchase an array of products directly on the app. In addition, the app offers flash deals that consumers “swipe” into their cart, and users can scratch off a new discount every day. About 62% of consumers use e-commerce apps to compare products and prices. Mass merchant retailer apps such as Target, Walmart, and Toys”R” Us offer comparison features. For example, users of Walmart’s app can search for products and see prices at various store locations and from different online sellers. This allows consumers to find the best products and prices. Nearly 55% of consumers use e-commerce apps for a swift, easy experience. Customers save time especially when making purchases on food and beverage apps, such as Starbucks, Domino’s, and McDonald’s. For example, Starbucks customers pay and place orders directly on its app to avoid lines. Starbucks now has 13 million active loyalty program members, and 27% of customers pay for their orders via the mobile app. Simply browsing and buying products no longer gives consumers a satisfying experience on e-commerce apps; the majority of survey respondents want innovative features such as discounts, rewards, and recommendations. Consumers prefer apps that provide unique, personalized experiences that engage them and encourage them to make a purchase. App features like discounts, in-app purchasing, and rewards can increase customer loyalty for companies of all sizes. Some e-commerce apps personalize the in-store experience, something more than half (59%) of respondents would opt-in for. For example, on the Macy’s app, shopping customers can scan bar codes to check prices, read reviews, and see different color and size options. They also receive deal alerts, which are enabled when the customer is inside the physical store. The majority of e-commerce apps allow consumers to purchase directly through the app, and almost all respondents said they would buy products or services through an app. 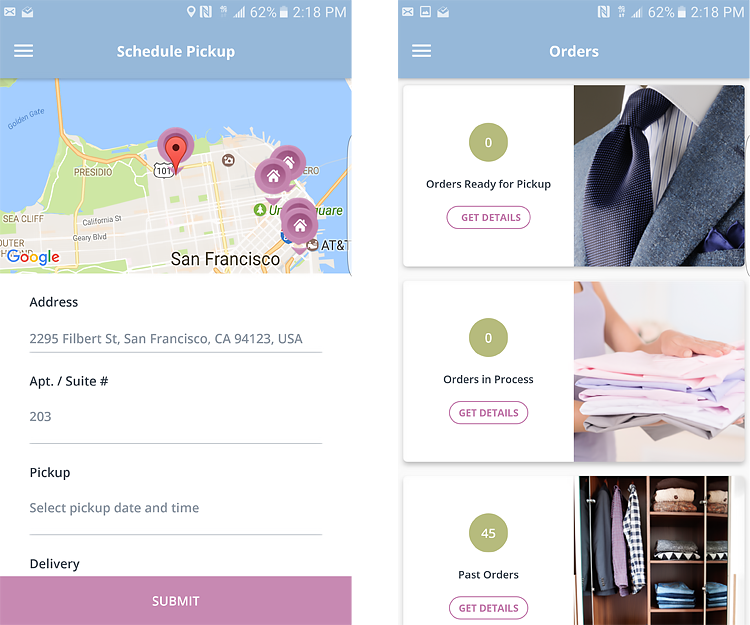 Customers of Mulberrys Garment Care, a dry cleaning and laundry service in the San Francisco and Minneapolis areas, can arrange an on-demand or scheduled dry cleaning pickup through the app. Every interaction customers have with Mulberrys can be through its app, including viewing and paying a bill, finding a store, tracking an order, and using a price quote feature. Mulberrys customers see every process of their dry cleaning on its app, from when the order has been picked up all the way to when the driver is delivering the finished product to their house. E-commerce apps offer rewards to incentivize consumers to make purchases; if an app syncs a business’s loyalty rewards, more than 80% of consumers would use the feature. “Many people often forget to carry their loyalty cards with them, so having this integrated into an app is important,” Sanghvi said. 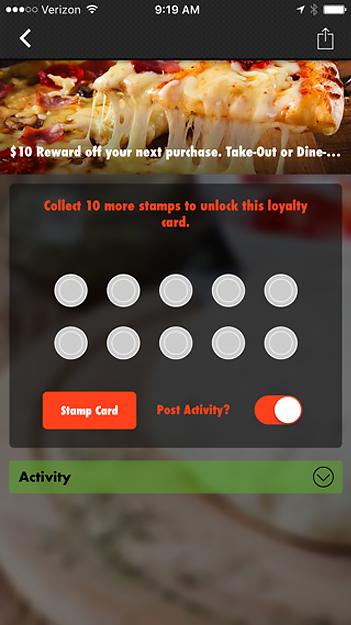 For example, Jaspare’s Pizza, a small pizza chain in Michigan, has a virtual punch card that customers “stamp” to unlock rewards. The punch card gives customers $10 off their next order after 10 purchases. 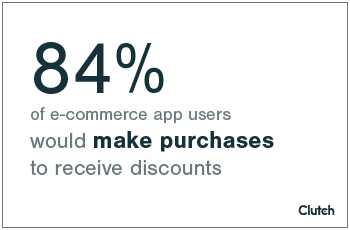 Receiving discounts makes consumers more likely to use e-commerce apps. Nearly two-thirds (63%) of consumers currently use their preferred e-commerce apps to receive deals and offers that are only available in the app. 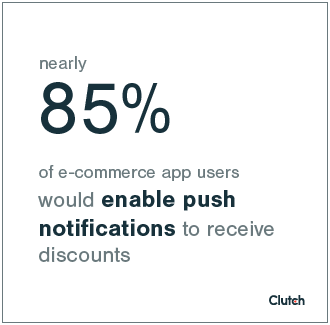 Even more (84%) would opt-in to receive discounts for enabling push notifications. A push notification is a message that pops up on a mobile device. Users have to permit these notifications but would be willing if it meant discounts. For example, Caffe Vicino in Bay Park, California, incentivizes its app users with push notifications. Customers who opt-in to receive the café’s notifications receive information about exclusive deals and special events. Most consumers (85%) would also choose to receive discounts on products similar to those they’ve purchased in the past. 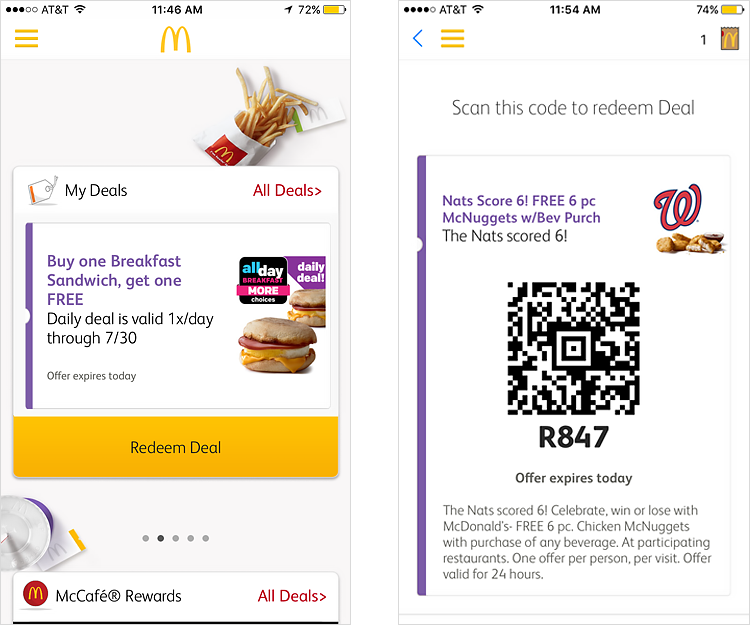 McDonald’s offers a “My Deals” feature on the homepage of its app, where customers receive customized coupons. These deals are based on customer preference and location, so McDonald’s might not send Sanghvi deals about burgers because he’s a vegetarian. Users also receive deals based on their city, such as when a local sports team wins a game or scores a certain number of points. E-commerce apps give shoppers content tailored to browsing behavior and past purchases, and many offer recommendations for similar products. About 70% of consumers would use recommendations. E-commerce apps become better at recommending products and services the more a customer makes purchases. 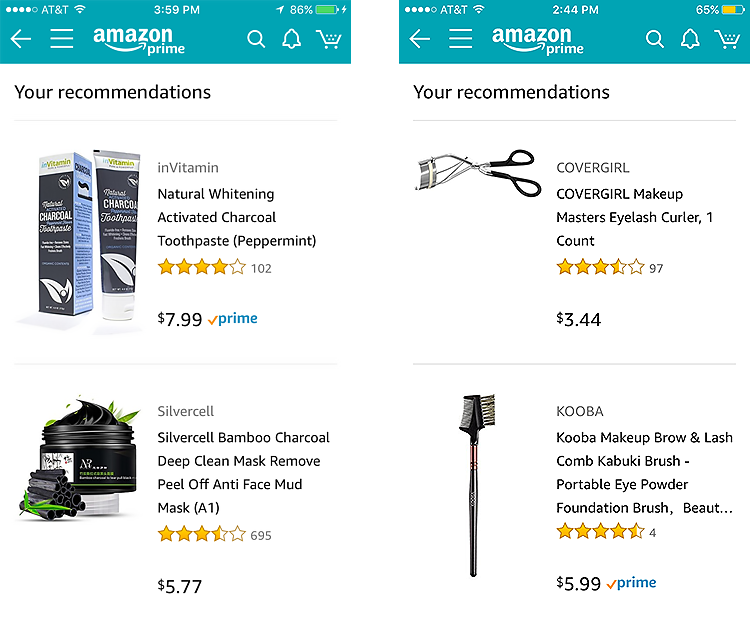 For example, the homepage of the Amazon app features a list of recommendations similar to products users previously purchased. Customers are willing to use product recommendations, and they also work from a business standpoint; 35% of Amazon’s revenue is generated from its recommendation feature. About 90% of survey respondents have social networking apps on their phones, and 41% are likely to integrate with social media accounts on their apps for easy sharing with friends. This feature allows consumers to connect with others for a more personal experience. Although consumers might scroll through apps alone, integrating with social media adds a social aspect their shopping. 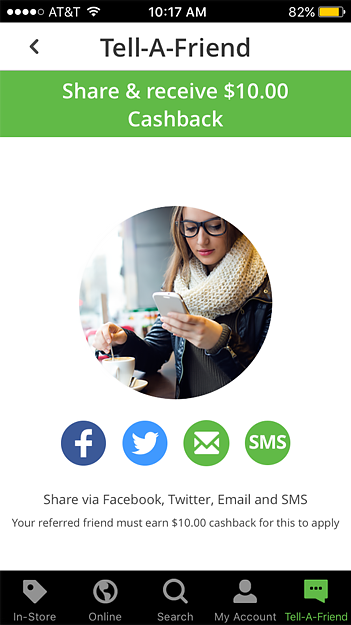 For example, TopCashback, an app that provides cashback rewards for mobile purchases at retailers such as eBay and Target, features a “Tell-A-Friend” page, where users receive money for sharing with their friends via social media. Users receive $10 cash back automatically for each referred friend who earns $10 in the app. If app users had the option to use augmented reality features to see products in the right environment, more than half would use them. This technology is already making an impact on some e-commerce apps, such as Wayfair and Nordstrom. 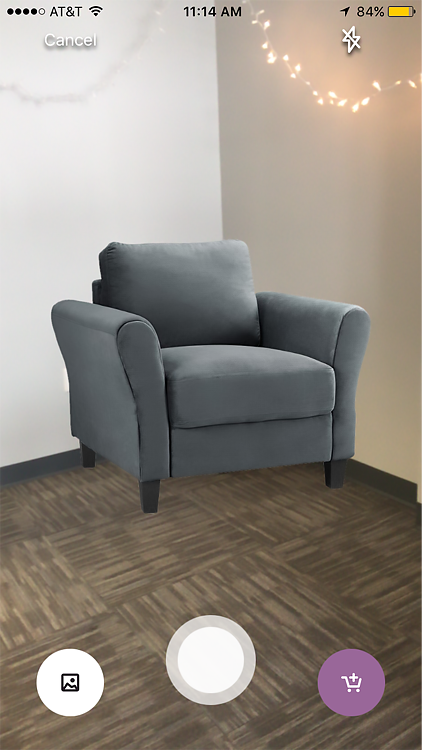 Customers on Wayfair’s app can view how furnishings and décor would look in a room through WayfairView via the smartphone’s camera. This allows customers to see the product in their own environment before committing to a purchase. 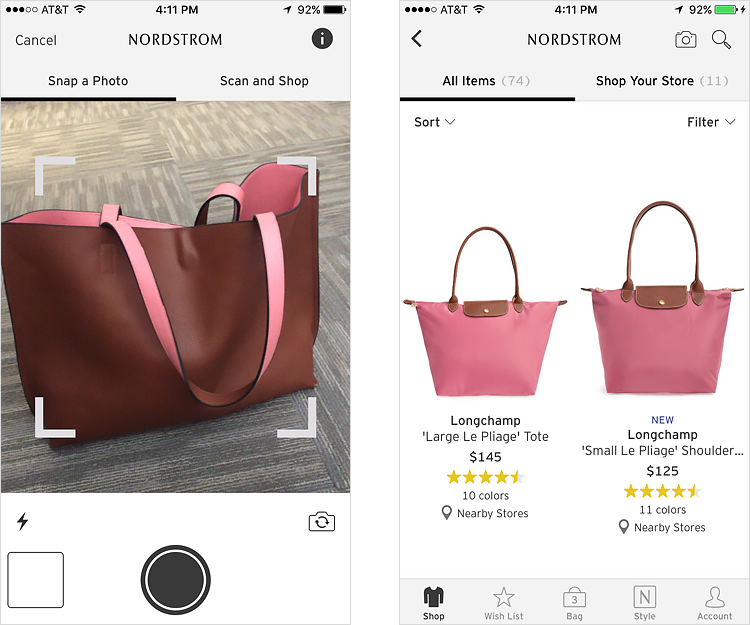 Nordstrom also offers an augmented reality feature for finding products. 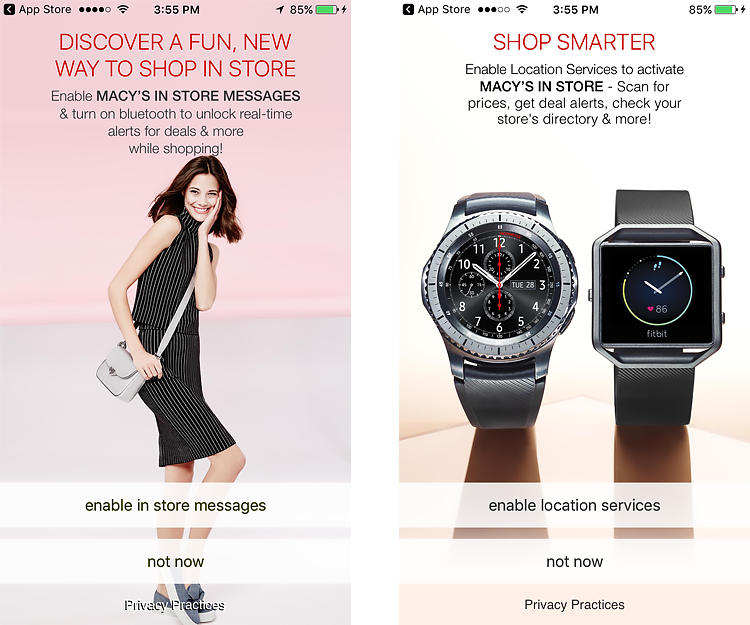 Consumers snap a picture of a product they are interested in, and the Nordstrom app will show items that have the same visual features, such as color, material, and shape. Our survey shows that consumers are using e-commerce apps, and they’re looking for features that go beyond browsing and buying. Consumers want an easy, frictionless, and entertaining experience when using apps. As e-commerce app purchasing continues to grow, consumers will continue to look for app features such as discounts, rewards, personalization, and augmented reality. Creating an app with consumers’ wanted features helps companies of all sizes keep up with modern technology and consumers’ attachment to mobile phones. 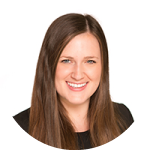 Kristen is a content developer and marketer at Clutch, a B2B research firm in the heart of Washington, DC. Connect with her on LinkedIn, or reach out with any questions, comments, or concerns at [email protected] or 202-840-6690. Clutch surveyed 505 consumers in the United States who use e-commerce apps on their smartphones at least two to three times per month; 37% use them once per day or more. Most survey respondents use pure online retailer (83%), mass merchant retailer (79%), and food/beverage apps (61%). Almost half use convenience store (45%) and apparel apps (43%). Most respondents use an Android (57%) or an iOS (38%) operating system on their smartphone.